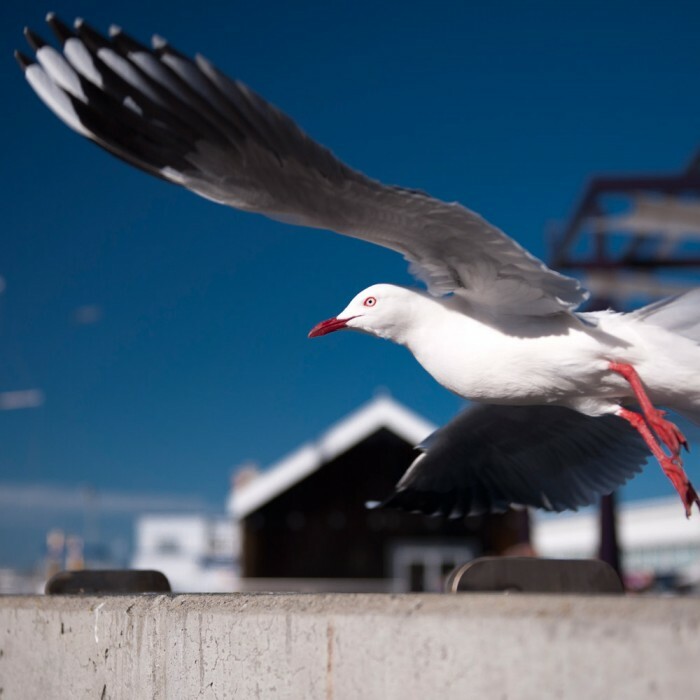 "...the panels are certainly successful both aesthetically and historically. 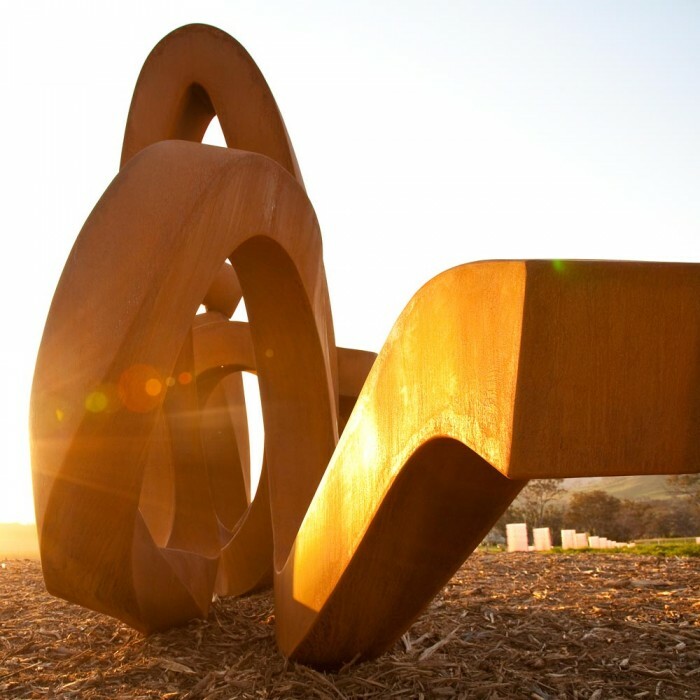 They really resonate with visitors"
Interpreting Collingwood’s original home ground. 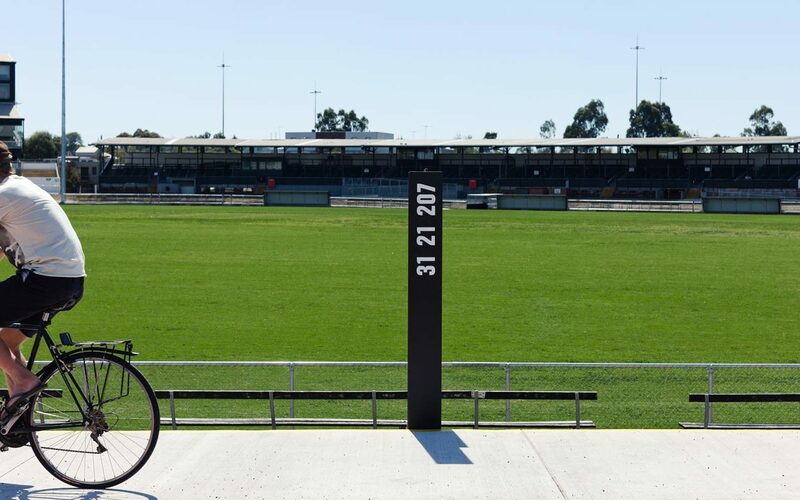 The City of Yarra has had ownership of Victoria Park since its construction in the late 1880s, but until the late 1990s it was the home ground of the Collingwood Football Club in each of its iterations. Laying dormant until a couple of years ago, the Council decided to refurbish the site as an open recreational space that retains the football ground, removes the prominent high wall and provides a fully accessible path around the ground. 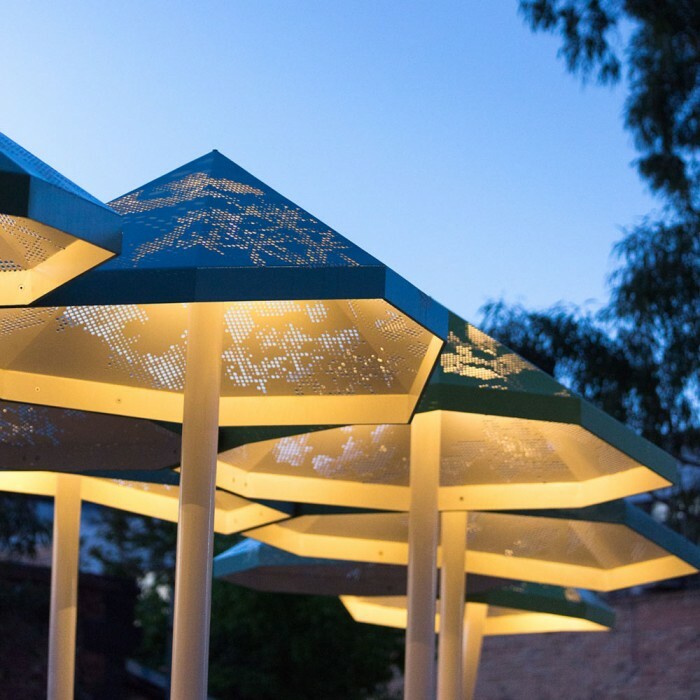 As part of the refurbishment, a series of public art and interpretation projects was proposed that allow the history of the ground to be understood and celebrated. 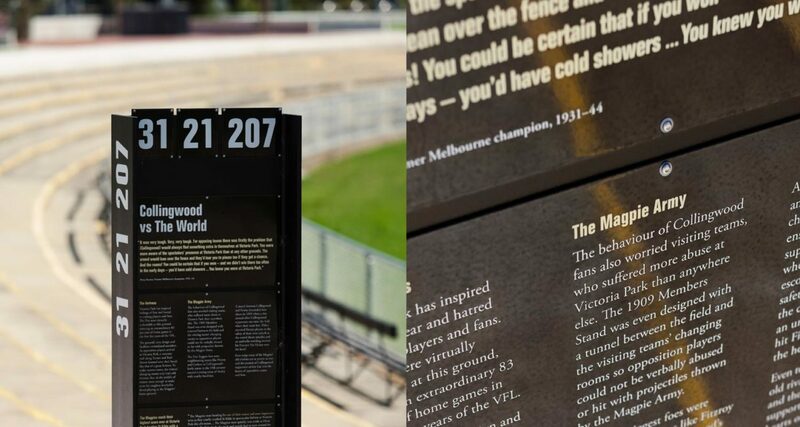 Working in collaboration with historians and interpretation specialists SHP (Sue Hodges Productions), Futago developed a series of five interpretive panels for the Points of View commission, located around the perimeter of the oval. 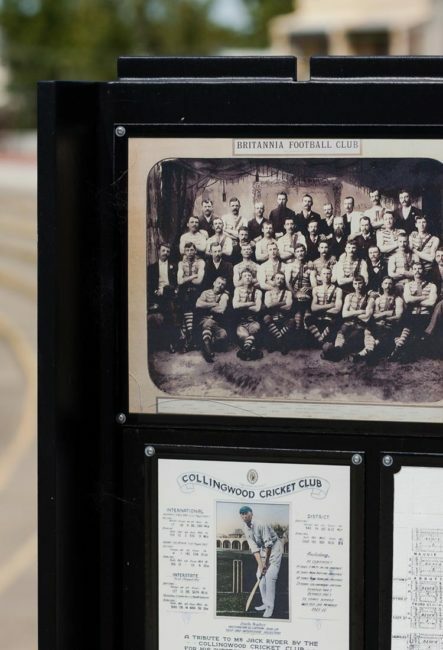 Our solution celebrates five key aspects of the ground relating to the social history of the site and delves into the strength and success of the Collingwood Football Club throughout the twentieth century. The base of each panel is a length of heavy steel i-beam, similar in form to the large columns that support the grandstands at the ground. 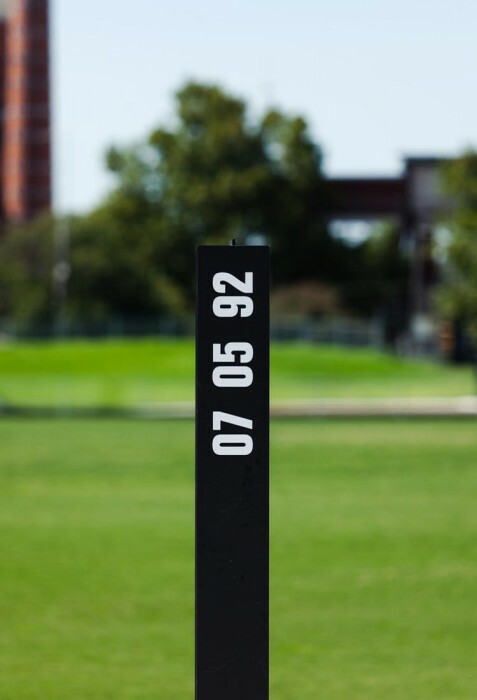 Just as these columns were used for signage for spectators at the ground, we have used them as a background for a series of interpretation plates made from screen printed and enamelled steel. One side of the panel is purely text about the particular story and the other is a ‘pinboard’ of photos and plans relating to the story. 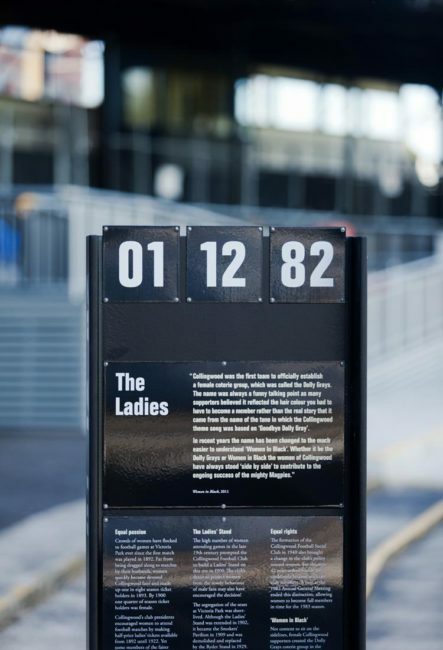 Referencing the historic information, the use of the ground the characteristics of the site, the aesthetic of the panels is derived from the colours of the Collingwood Football club, the typography of scoreboards and the layout of newspapers.